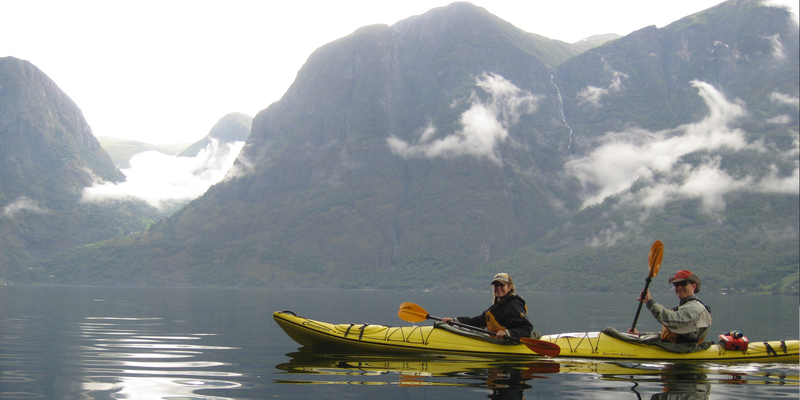 On the two day sea kayaking tour Fjord Adventure we paddle from Flåm out the Aurlandsfjord and the full length of the UNESCO-listed Nærøyfjord. Passing through the landscape that has been carved out by glaciers, watching the waterfalls dive off the steep mountainsides. 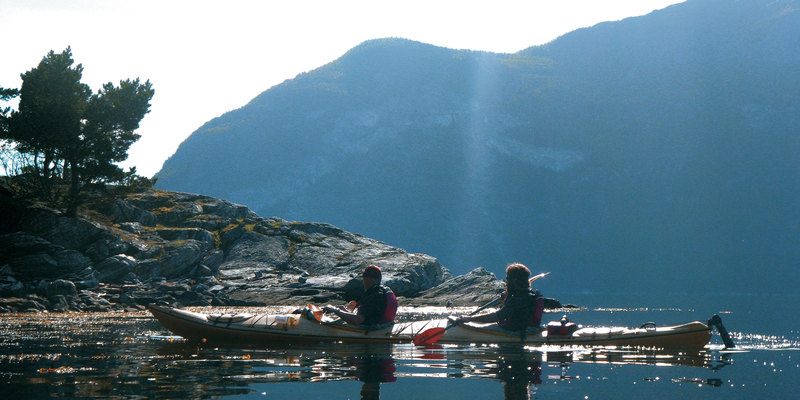 If we are lucky we might even spot some seals, eagles, otters or small whales on our way. 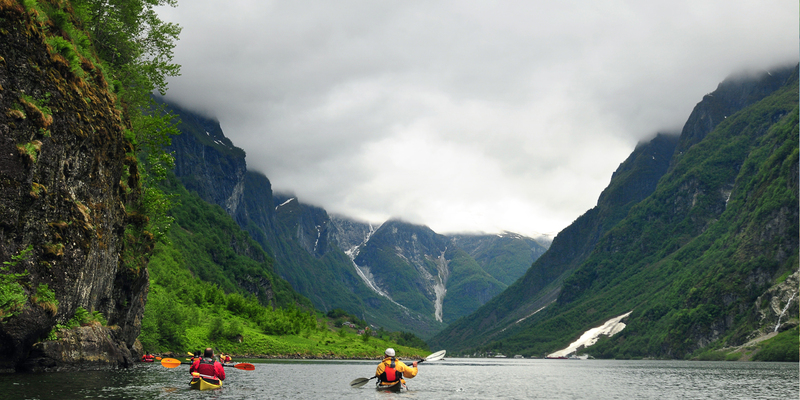 – The Norwegian Canoe Associations “Våttkort” qualification for kayaking, this has a value of NOK 1190 and is an internationally recognised kayak qualification, see more about this here. Day one begins with a introduction to the kayaks and all the gear. Everybody will attend a safety and rescue course, it is optional to take a swim and be rescued. 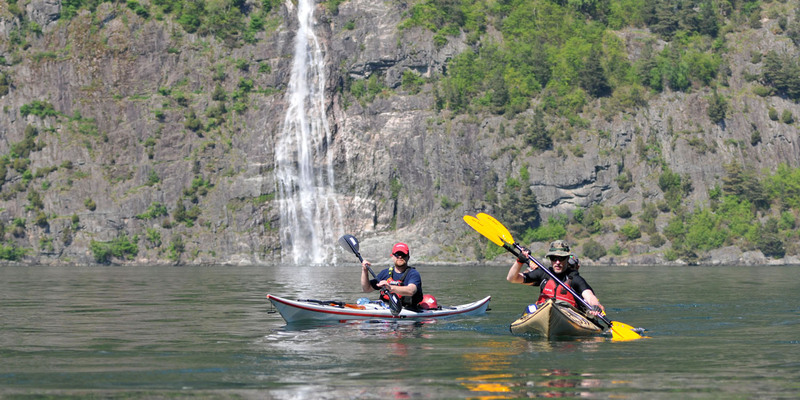 This on water session is essential fro the groups safety whilst on the tour. After lunch we pack the kayaks and set out on the tour. We spend the night outside the village Undredal, the goat capitol of western Norway. The guide will prepare a great meal with the assistance of everyone in all duties exept the actual cooking. If we find firewood and the weather permits the evening is spent in calm companionship around a small bonfire. Day two we rise early and start the journey towards the Naeroyfjord and Gudvangen. We will have frequent photo and storytellingstops along the way. Lunch will be served on one of the small beaches along the fjord.